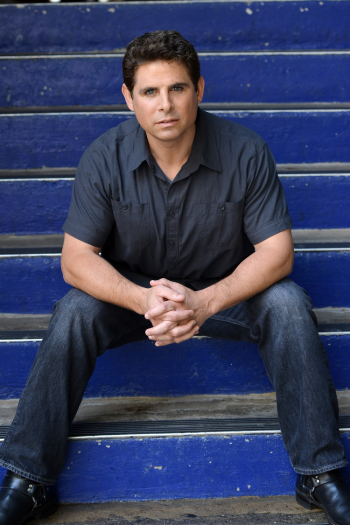 A native New Yorker, Brian has spent a good part of his professional career working as an actor, teacher, writer and, director. Brian has appeared in numerous feature films, television dramas, comedies and soaps. For more than two decades, Brian traveled the country performing with such distinguished companies as Denver Center Theatre Company, Milwaukee Repertory Theatre, Alabama Shakespeare Festival, and Utah Shakespeare Festival. While living in Los Angeles, Brian performed at Garry Marshal’s Falcon Theatre, The Hudson Guild, 24th Street Playhouse and Will Geer’s Theatricum Botanicum. In New York, Brian has performed with The New York City Opera at Lincoln Center, The Pearl Theatre, and The Director’s Company. Now based in Atlanta, Brian has also worked with notable local theatres such as Georgia Shakespeare, Actor’s Express, Horizon Theatre, Synchronicity, Serenbe Playhouse, and Theatrical Outfit. Brian took a hiatus from life as a professional actor/director/teacher to help grow the film industry in the state of Alabama. As executive director of the Alabama Film Office (AFO), Brian worked to provide greater opportunities for employment in the state’s film and entertainment sector. He was instrumental in drafting and lobbying legislation to enact the state’s first incentives package for its film industry. This successful initiative led to historic growth in jobs and earnings for the state. During his tenure as AFO executive director Brian earned a reputation as an innovative and creative thinker in economic development, legislative lobbying, brand strategy and tactics. Brian graduated from James Madison University where he distinguished himself as the university’s first NCAA Division I All-American in the sport of wrestling. During that time Brian also earned a spot on the U.S.A World Greco-Roman Wrestling team and was ranked among the top 10 wrestlers in the World. He also holds a Master of Fine Arts from the University of Delaware Professional Theatre Training Program. Brian is a member of Actors Equity Association, the Screen Actors Guild, and the American Federation of Television and Radio Artists. He serves on the board of directors for the Atlanta Area Ronald McDonald House Charities and Synchronicity Theatre. In 2011, Brian co-founded Nancy Creek Productions with Lane Carlock. Together they have collaborated on numerous productions and development projects. Nancy Creek Productions is dedicated to developing content for the stage, screen and web.